During our countdown we commented on a few tracks that we were surprised to see ranking so high on the list ... by the same token, there were also quite a few surprises missing from this list that I thought would have ranked much higher. C'mon, this record was HUGE ... it helped define the '70's! This is what I mean about your memory playing tricks on you. ALL of these songs seemed to be MONSTER hits at the time in my memory banks ... yet all fell short of those Top 70 coveted spots. By comparison, "Mr. Jaws" by Dickie Goodman comes in at #412! This is why this book is such a valuable tool ... it tells it like it WAS ... EXACTLY as it was when these records were first on the charts ... no distorted portrayal ... just the real deal. Over the next nine weeks, I’ll be awarding copies of “Ranking the 70s” and “Ranking the 60s” to listeners of “That Thing with Rich Appel.” Dann and Bill have compiled the “Pumpkin 100,” the biggest fall hits of the 60s and 70s, based on the data in both books, which I’m counting down another 10 songs from each week. Check our website (http://www.thatthingshow.com/) for air times. Great job on the '70's Countdown, Kent. Thanks a million for your help and excellent review. It takes too long to tell here, but this is where my scientists's eyes help out. While Billboard's charts are recognized as "the bible", they were not without issues when compiling those charts. As such, the books are different, but which one is "right"? The problem is that the underlying data from which they were generated are ... crap. Perhaps the charitable way of putting that is that they are more art than science. Our recap is only as good as the original charts themselves ... and in many cases their methods for collecting data wasn't very sophisticated. Billboard was the gold standard but if you read the work published by Peter Hesbacher, who was on the inside, the editors all but made up the charts. There were no real sales numbers or real airplay numbers. While the methodologies of the other two magazines haven't been published in the same way, it's hard to imagine that they were any better. The era of real data started in 1991 when Billboard adopted Soundscan, which got data straight from the cash register. And it was controversial because the charts changed immediately, showing how far off they were previously. One of my next academic articles will try to break down some of those differences in the three magazines for the era they covered (to the extent Music Vendor is available) to see if there really were systematic differences the way the artists claimed. But in the end, being consistent with one magazine gives one snapshot. Maybe Randy Price's three chart method is better, but I'm comfortable that Cash Box is not measurably "worse" than Billboard for what this is. You mentioned in your countdown that "I Want You Back" by The Jackson Five would have charted higher had the points it earned in 1969 been included in its total. For the record, we did not just count points in the decade. We counted the entire lifecycle for all songs that peaked in the 70s. No points left behind for those songs. Over the years of doing this we published a lot of local radio station surveys and talked to many of the folks who were responsible for doing the research to compile these lists. Almost all would agree that The Top 20 was damn near perfect in terms of accuracy ... and the bottom 20 were typically songs the radio station was pushing (or perhaps being given "incentives" to push) or personal favorites. Payola didn't stop at the radio stations ... we've also heard about all kinds of tactics to have your record take a huge leap (or earn a bullet) on the chart if only the record label would take a full page ad in next week's edition of the magazine. ALL kinds of things over the years went on behind the scenes ... and I believe EVERYBODY was guilty of partaking in some fashion. But when all is said and done it's still probably pretty safe to say that The Top 20 on each chart was probably the best representation of what was really going on sales-wise and airplay-wise from coast to coast. A genuine, legitimate hit record pretty much made The Top 20 in all three publications. You didn't see a swing until you got a little deeper into the countdown ... which is where you often saw 20-point discrepancies between some titles. A big "thank you" for counting down the Top 70 songs of the '70s. And thanks for the great review and coverage of our latest book, Ranking the '70s. I was pleased to have been able to invite you to be the first to review this new book, just as you were the first to review Ranking the '60s. You'll find your praises and inspiration noted within the opening pages of this new volume. There's been nobody better at recognizing the value or usefulness of the features of RT60s than you and I'd like the FH readers to learn directly from you what they can expect to see if they browse the new volume. and 2) the normalization applied across the decade which boosted early '70s songs while lowering late '70s songs. Normalization is explained in the book's appendix. The years 1974 - 1976 were not well represented in the Top 70, accounting for just 10% of the total. Elton John scored seven of his No. 1s during that three-year period which goes a long way in explaining why only "Crocodile Rock" from 1972 made it in. Another reason is that Elton's songs generally accumulated fewer points during their chart runs in Cash Box than in Billboard. He did, however, score three No. 1s in Cash Box that did not hit No. 1 in Billboard: "Goodbye Yellow Brick Road, "Someone Saved My Life Tonight," and "Don't Let the Sun Go Down On Me." The first 20 songs on the 70's countdown serve to remind me just how lugubrious and listless the decade was in comparison to the 60's. When Does Barry Manilow arrive with Copa Cabana? Great countdown! Remarkably, I would have to say that at least 80 percent of the songs listed on this ranking are still regularly played today by at least one radio station genre or another. Now just list out the top 60 of the (late) 60s and the top 80 of the 80s and you pretty much have the 200-song playlist of every Classic Hits station in the country (sigh). Great countdown ... with lots of surprises. Love your website, I'm here almost every day. I'm one of those few who love numbers and music surveys so that's why I'm here so often. However, your recent posting of the 70 hits of the 70s (I know it's not your research) seemed a little odd. The first thing you notice is that its an obvious ranking of 70 "adult contemporary" hits of the 70s. No true rockers to be found. And if that's true, where are The Doobie Bros, Seals and Crofts, Chicago, Jim Croce, America, The Eagles, The Little River Band, John Denver, and on and on. Not sure what the authors are trying to accomplish. Seems more like a ranking of some of the 70s. I can assure that the results come from the actual rankings of Cash Box's weekly Top 100 Pop Singles Chart. It may have skewed a little bit toward the Adult Contemporary" side (for me, I thought it was a bit "Disco-Heavy"! ), but this is the way these records placed based on their accumulated points earned throughout the decade. Keep in mind that many of the artists listed in your email didn't score a lot of #1 hits ... if any. When you devise a countdown as small as 70 hits, the greatest majority of those hits were most likely #1 Records. That being said, I thought there was some pretty good rock representation there ... The Knack, Norman Greenbaum, Sly and the Family Stone, "American Woman" by The Guess Who, "War" by Edwin Starr, etc. Love your story about the DJ playing the Debby Boone song in pieces during his shift. That is probably the best way to hear that track. As much as I enjoy music from the '50s and '60s my favorites are from the '70s. I graduated from high school in June of '79 so that decade of music is near and dear to my childhood memories. It was, without question, one of the funniest things I've ever heard on the radio ... because by then (something like the record's ninth week at #1) virtually the entire country was sick of hearing it. Far more popular in The UK (where they charted a dozen Top 40 Hits), The Rollers managed FIVE Top 20 Hits here in The States as well: Saturday Night (#1, 1975); Money Honey (#7, 1976); I Only Want To Be With You (#8, 1976), You Made Me Believe In Magic (#7, 1977) and The Way I Feel Tonight (#19, 1977). I'm still thinking about last week's Burton Cummings concert at The Arcada Theatre ... what a GREAT show. During the show at The Arcada Theatre last Friday Night Burton mentioned that he may dress up as Jim Kale for Halloween this year. Seems only fair really ... Kale and Garry Peterson have been masquerading as The Guess Who for a couple of decades now ... seems like turnabout would be fair play. I still maintain that Joe Perry of Aerosmith HAD to go to The Guess Who School of Guitar-Playing when he was growing up. Listen to virtually ANY early Aerosmith track and see if you don't find traces of "Heartbroken Bopper" (a GREAT overlooked classic) in there somewhere. And finally, I mentioned the other day that "American Woman" was The Guess Who's all-time biggest album. I'm sure it has since been eclipsed by their "Best Of" collection, one of the truly most complete and comprehensive greatest hits compilations released up to that time. But MY three all-time favorite Guess Who albums might surprise you ... as they are hardly what many would consider to be "the norm". First and foremost, it has ALWAYS been "Share The Land" ... for my money, it's the best variety of material they ever released on LP. EVERY track still stands up today and it remains one of the few albums that I can still listen to all the way through without ever skipping a track. Second would be "Rockin'" ... this is just a fun LP and it sounds like the band is having a blast recording it. A bit of clowning around here and there ... but all in all an incredibly solid collection of material. And finally I have to go with "Artificial Paradise", an album that didn't do especially well on the charts but has always been a favorite of mine. I remember catching The Guess Who the night they hosted The Midnight Special (why isn't any of THAT material available on all these new Midnight Special DVDs???) and, in addition to a couple of their best known hits, they featured several tracks from their latest LP. I fell in love with it immediately and had to run out and buy it the very next day. "Bye Bye Babe" (my favorite), "Those Show-Biz Shoes", "Orly" (and the story behind it), "Follow Your Daughter Home" (outstanding! ), "Hamba Gahle-Usalang Gahle" and "Lost And Found Town" are all EXCELLENT tracks ... and I would LOVE to hear Burton incorporate a track or two from this long-lost gem into his live set some day. Great video of you and Burton Cummings. Wasn't he the lead singer of The Animals? Cummings led The Guess Who to over a dozen National Top 40 Hits ... and then added a few of his own as a solo artist to the list, too. First of all, right here close to home, you can catch The Liverpool Legends performing at The Arcada Theatre. The show kicks off at 8:00 on Friday, October 9th. For more ticket information, visit www.oshows.com. New Haven, CT: On October 9, 2015, John Lennon would have turned 75 years of age. On the exact date of this momentous occasion, Friday evening, October 9, Beatles fans and music aficionados from all over the area will "come together" at the newly-renovated College Street Music Hall, 238 College Street (across from the Shubert Theater) in downtown New Haven for a very special theatrical concert event entitled "Remember Lennon: Imagine 75." Doors open at 7 pm and showtime is 8 pm. The show stars Peter Gendron. Singer / songwriter Gendron has been in the music field for years. A long-time Beatles fan, Gendron portrayed John Lennon in the 90s in a group called "A Fab Four" which later became "The Best of Beatlemania," playing across the USA, Canada and Mexico. This morphed into a show starring Gendron entitled "Lennon-Live," with an all-Lennon repertoire and accompanying ensemble of musicians. Unlike his previous Beatles shows, though, this one did not tour, only playing very special events. Out of the many Beatles and Lennon impersonators and tribute acts out there, because of the exclusive nature of Gendron's show, Peter was hand-picked by the Connecticut-based Liverpool Productions Beatles Fan Club in 2010 to perform his tribute to John Lennon at the Shubert Theater in New Haven in celebration of John Lennon's 70th birthday. The show was a speculative representation of a concert that Lennon may have performed had he still been alive and actually playing out. The show incorporated multi-media slide-shows and rare video, a full backing band and state-of-the art production to present an evening of John Lennon's Beatles and post-Beatles material live in concert. It included not only Lennon's earlier "Moptop" hits with his mates Paul McCartney, George Harrison, and Ringo Starr, but also covered John's most memorable and poignant recordings as a solo artist. The set-list featured many songs that John never played live. The concert at the Shubert did very well, and attendees wanted the show to come back as an annual event, but both Gendron and Charles F. Rosenay!! !, fan club president and executive producer of Liverpool Productions, wanted to make it special and keep it as an exclusive event. 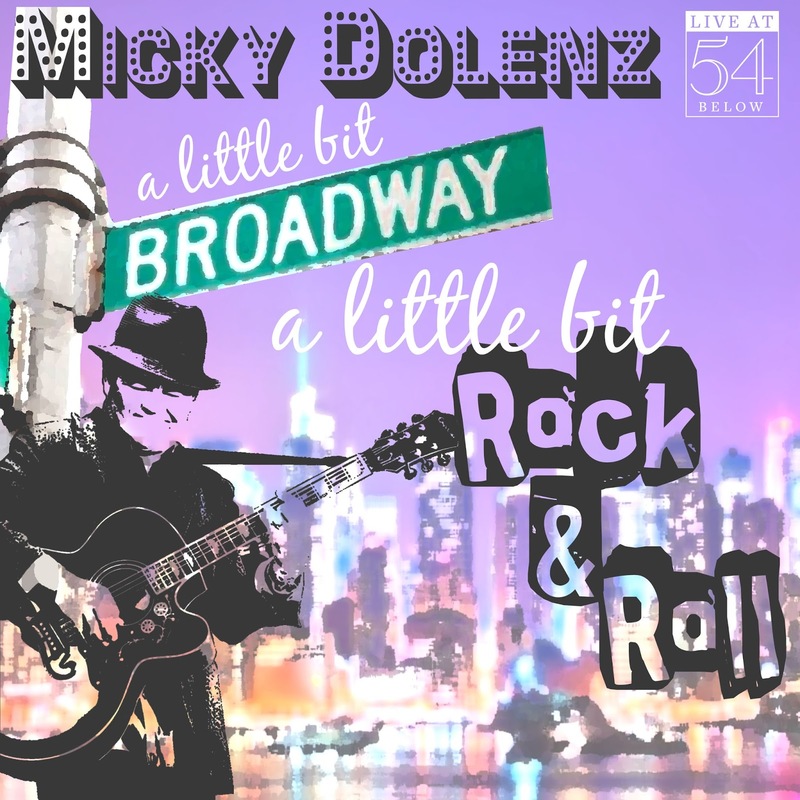 Both Gendron and Rosenay wanted to commemorate John's 75th birthday by reprising the show that garnered such great reviews and accolades. It will actually be the final time the show plays a stage; Gendron is retiring his Lennon tribute after this historic performance on Friday evening, October 9, the very last time Beatles fans and music aficionados will be able to experience this very special theatrical experience. College Street Music Hall doors open at 7 pm and showtime is 8 pm. Tickets are $50 and $35, with a limited number of $75 VIP meet & greet packages available. "Remember Lennon: Imagine 75" is presented by Liverpool Productions, the same organization that produce the Beatles Conventions in New Haven in the 8's, and more recently the Beatles 50th Anniversary events in New York and the "Danbury Fields Forever" Connecticut Beatles Music Festivals. Meanwhile, if you're able to join us for Ronnie Milsap tonight, please do. A TRUE Country Music Superstar with an incredible FORTY #1 Country Hits (who had quite a few cross-over pop hits as well.) This is his farewell tour so it'll be your last chance to see him. There are still a few great tickets available thru The Arcada Website at www.oshows.com ... hope to see you there. AURORA, IL - Peter, Paul & Mary transformed folk music into a powerful language that soundtracked the Civil Rights movement, the anti-war scene and an entire era of social change. They've won five Grammys and made it on the Billboard Top 10 list six times. 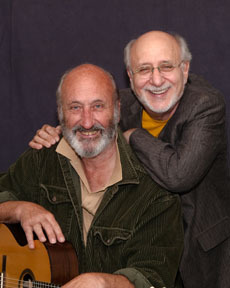 Now, Peter & Paul of the legendary folk trio Peter, Paul & Mary will continue celebrating over 50 years of positivity, talent and activism with a live performance, one-show-only, Sunday, November 8 at 3 p.m. at the Paramount Theatre, 23 E. Galena Blvd. in downtown Aurora. Join Peter & Paul for a night of gorgeous harmonies, positive messages and hits like "Puff, The Magic Dragon," "Where Have All the Flowers Gone?" and "Leaving on a Jet Plane." Tickets are $45, $50 and $55. For tickets and information, go to ParamountAurora.com, call the box office at (630) 896-6666 or stop by the Paramount Theatre, 10 a.m. to 6 p.m., Monday through Saturday. In the decades prior to the '60s, through the work of such avatars as Woody Guthrie, the Weavers and Pete Seeger, folk music had become identified with sociopolitical commentary, but the idiom had been forced underground in the Senator Joe McCarthy witch-hunting era of the late '50s. By the time Peter, Paul and Mary arrived on the scene, for the majority of America, folk was viewed merely as a sidebar to pop music which employed acoustic instruments. 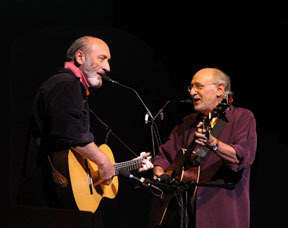 As the nation was recovering from the McCarthy era, the Civil Rights Movement was taking shape, the Cold War was heating up and with a nascent spirit of activism in the air, Peter Yarrow, Noel (Paul) Stookey and Mary Travers came together to reclaim folk's potency as a social, cultural and political force. The group was created and launched in New York City's Greenwich Village by manager Albert Grossman, who sought to create a folk "supergroup" by bringing together "a tall blonde (Travers), a funny guy (Stookey), and a good looking guy (Yarrow)." The group released their first album, Peter, Paul & Mary, in 1962. It included "500 Miles," "Lemon Tree," "Where Have All the Flowers Gone," and the hit Pete Seeger tune "If I Had a Hammer (The Hammer Song)." The album was listed on Billboard Magazine's Top Ten list for ten months and in the Top One Hundred for over three years. By 1963, they had recorded three albums, released the now-famous song "Puff the Magic Dragon" and performed "If I Had a Hammer" at the 1963 March on Washington, best remembered for Reverend Martin Luther King, Jr.'s "I Have a Dream" speech. Their biggest single hit came with the Bob Dylan song, "Blowin' in the Wind." Their later hit "Leaving on a Jet Plane" was actually written by the then-unknown John Denver. For many years after, Peter, Paul & Mary was at the forefront of the civil rights movement and other causes promoting social justice. The trio was inducted into the Vocal Group Hall of Fame in 1999 and received the Sammy Cahn Lifetime Achievement Award from the Songwriters Hall of Fame in 2006. Sadly, Mary Travers was diagnosed with leukemia in 2006 and passed away on September 16, 2009. Peter & Paul continue to tour internationally. For more information, visit peterpaulandmary.com. Meanwhile we're still trying to arrange some type of holiday Forgotten Hits get-together at The Ides Of March Christmas Show at The Arcada in December ... stay tuned for more details on that one. I just got home from the Jay and the Americans afternoon show at Harvest Fest at the Wisconsin State Fair Park. I must admit I didn’t expect too much from the group but they were “outstanding”. Jay number three, as the others referred to him, has a voice which I would characterize as midway between the clarity of Jay Trainor (Jay number 1) and the slightly deeper and more powerful Jay Black (Jay number 2). I didn’t catch his last name but he said he was from Chicago. Jay number 3 did a remarkable job on all of Jay and the American hits ... so good that I would bet a casual listener would not know he did not originally sing these songs. The three original Americans were also in great voice, providing spot-on background vocals. Their recounting of old stories concerning Neil Diamond ( “Sunday” was his first hit composition), Donald Fagan and Walter Becker (formerly in the Americans back-up band before starting Steely Dan), and Burt Bacharach (offered songs to the group and they passed on “24 Hours To Tulsa”) were very interesting, and their medley’s of Doc Pomus songs and Leiber / Stoller songs were well done. Positive words were said in reference to Jay Trainor while Jay Black was only referred to as Jay number 2. 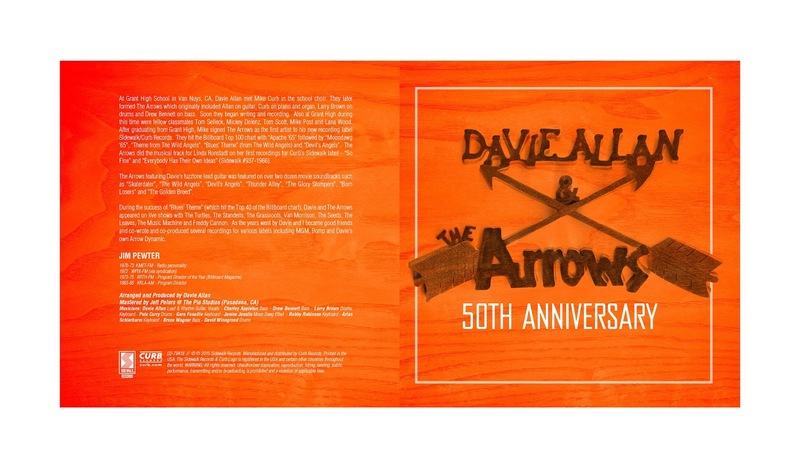 Special mention goes to Dave Zane, a Chicago favorite who handled lead guitar duties. These guys are no spring chickens but the talent is still there. This group is a treasure that should be enjoyed while they are still performing. I think we just caught a bad show the night we saw these guys perform at The Addison Italian Fest this summer ... because when I saw them the year before at The Arcada, they were spot-on. South Florida locals can tune in at 91.3 FM. Others can listen live online. But that doesn't I mean I won't still miss seeing Don. And here's another Stuart Hersh shot taken of Billy Joel, just recently rocked Wrigley Field here in Chicago! It seems as though they missed one here, didn't they? How could they have missed this? There *had* to be room on the disc. I think the keyword here is "Hit" singles ... even a couple of tracks included on the new cd are somewhat questionable when actually ranked for hit status ... and have come under scrutiny for one reason or another ... but this one ... (a non-single anyway) ... never would have made the cut. Just for fun, however, I put together a list of Buckinghams singles releases as I understand them anyway ... adjustments or comments are welcome. I'm disappointed because I certainly would have expected more from two long-time Forgotten Hits cohorts, Cary Mansfield and Clark Besch. Even original Buckinghams Carl Giammarese is unhappy with the single mixes used on the CD ... and reportedly offered to help put this thing together. Hey, we love The Bucks as much as the next guy ... but there's really nothing new here to warrant adding this CD to your collection. Click on the link to view some great Television memories! Last week we told you about the Nostalgia Convention being held on the East Coast. I want to tell you about the thrilling weekend I had in Hunts Valley, Maryland. It was the yearly Mid Atlantic Nostalgia Convention (Manc for short). It was a combination of radio, television and movie nostalgia. Guests included Lee Majors and Lindsay Wagner plus Richard Anderson for a real bionic reunion from The Six Million Dollar Man and The Bionic Woman. Also on hand were Barry Livingston and Stanley Livingston plus Tina Cole from My Three Sons. Other celebrities on hand were Angela Cartwright, Terry Moore, John Provost, Tommy Cook and still more. WHAT A WEEKEND. I was told that next year's guests will be even top this year. Always held in mid-September. According to Scott Shannon the dumbest thing he's ever done happened last week. He was standing in the hallway talking to someone ... lost track of time ... then heard the announcement "you've got 30 seconds to get back on the air." He turned in order to run back into the studio but ran right into the door jam of an office door ... started bleeding heavily from his forehead and nose. Thought he'd need a few stitches ... urns out he need plastic surgery. I think your readers will want to listen to Gus Gossert. He called himself "The Curly Headed Kid In The Third Row." Alan Freed coined the phrase "Rock & Roll." Most people give Gus Gossert credit for coining the phrase "Doo - Wop." I remember him being on WPIX-FM. Forgot that he was also on WCBS-FM till I came across this show. Check out this clip, too ... he starts off with my favorite group! 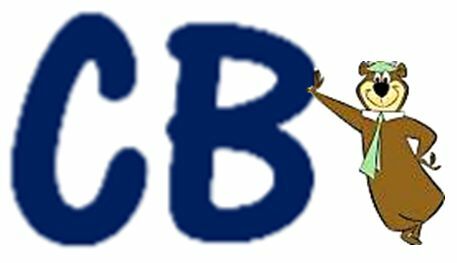 Bob Shannon was on the old and new WCBS-FM. Dan Taylor was another DJ who was on before and after JACK-FM. 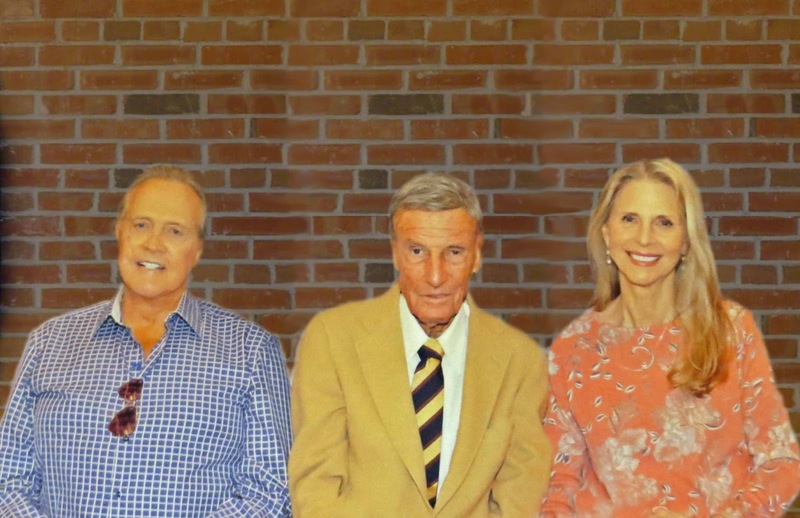 WLS did a few of these radio reunion shows and they were always fun to listen to ... many of them hadn't seen or spoken to each other in years ... if not decades. Oh no! Not Yogi BEAR too! According to an Associated Press news alert Tuesday morning, September 22, 2015, cartoon character Yogi Bear is no more. "New York Yankees Hall of Fame catcher Yogi Bear has died. He was 90." AP later updated the alert with the correct name. Unfortunately exactly what I've been predicting would happen ... as those in charge of programming get younger and younger, all sense of REAL history begins to disappear. Since we're all about spreading "the most accurate truth", I just figured we'd take a moment to clear that up. We've made numerous suggestions of ways to improve the play list of this station ... countless times we've acknowledged that they are SO close to getting it right ... but seem to be weakest in the programming area. (WAY too many album track obscurities ... (if you're going to push "memorable music", shouldn't it be songs your audience actually knows?!?!?) ... and recently WAY too much repetition ... plus the songs don't always flow the way they should when sequenced back to back. With nearly a year under their belts now, all the "launch bugs" should have been worked out by now ... and the station show be flowing along seamlessly at this point.) Unfortunately they don't seem interested in listening to new ideas that might actually improve the station ... while we're getting more and more email lately from frustrated listeners who find themselves turning the station off several times a day because the mix of music they're currently playing doesn't hold their interest. It's WAY too early in the ballgame to have THIS happening!!! And, worse yet, still no streaming ... which I still maintain is holding them back in a VERY big way in the ratings ... as this is the kind of station that would be PERFECT to leave on all day long at work, once these resolve some of the aforementioned issues. On their website as each song plays, listeners are able to click a "Play More" or "Play Less" button to help guide them in their programming. However, because the station doesn't stream, there is absolutely NO reason to be on their website at all to vote for these songs since this would require you to be both on your computer AND listening to a totally separate offline radio device!!! (Where's the logic in THAT promotion?!?!) Why would anybody want to be tied to both their computer AND their radio for any period of time? Sorry ... but this just doesn't make sense, guys. You were right about not seeing the record by Roy Head in the #1 spot all that often. Speaking of Roy Head, I heard and read years ago that when he met Elvis Presley for the first time, he wanted to be sure that he made an unforgettable impression on Elvis so that he wouldn't forget him. 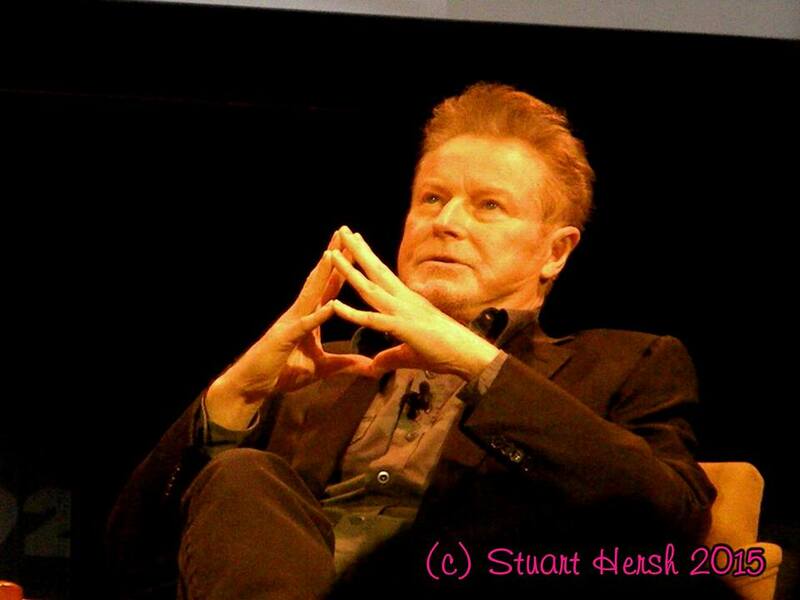 So Roy Head, when he met Elvis for the first time, stooped down and bit him on the leg. He figured that Elvis would never forget a person that did that to him. Whether this story is really true or not, I don't know. What say you? I also believe Roy Head had a follow-up called YOU'RE THE APPLE OF MY EYE. 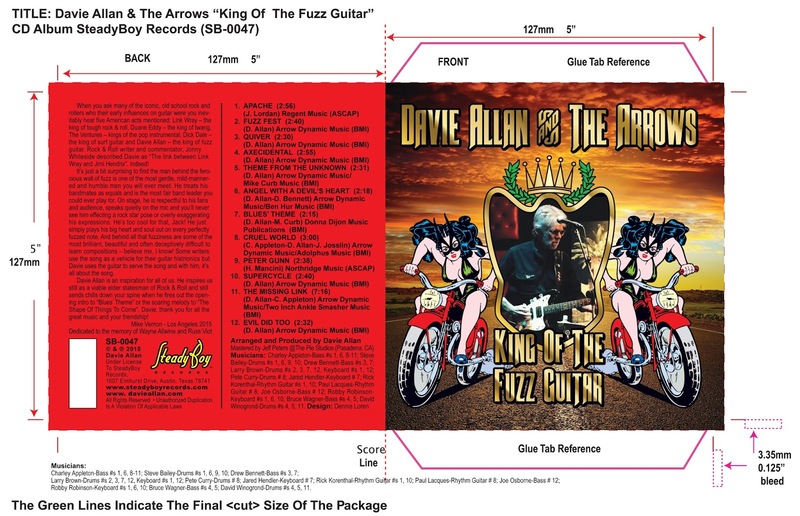 And check this out ... Billy Gibbons has just cut a version of Roy Head's big hit for his first ever solo album! And we've even got the video to share with you today! Billy F Gibbons, internationally known as the front man for multi-platinum blues-rock legends ZZ Top, is touring this November and December in support of his debut solo album. 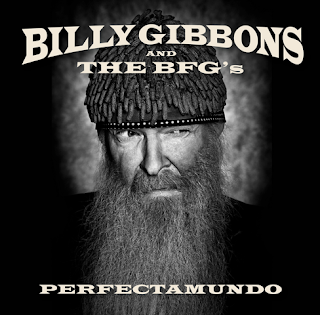 The Afro-Cuban influenced Perfectamundo by Billy Gibbons and The BFG’s will be released by Concord Records on November 6, followed immediately by a November 10 tour kick-off in Atlanta. After several U.S. dates, the tour ends in Cuba, where Billy will play the Havana Jazz Festival – a perfect climax for an album that was initially inspired by an over-the-transom invitation to perform at last year’s Havana Jazz Festival. The concept for Perfectamundo, which was produced by Gibbons and Joe Hardy and recorded in Houston, Los Angeles, Austin and Pontevedra, Spain, originated in Billy’s Houston studio, when he explored the potential for a Latin flavored album with his Argentine-born, Puerto Rico-raised friend and musical collaborator Martine “G.G.” GuiGui. Soon after presenting his engineering crew with a business card from a newly opened Cuban eatery called Sal Y Pimienta (salt and pepper), with the first track finished for Perfectamundo reached completion taking its title from that card. Concord has just released a tasty video complementing “Treat Her Right,” the album’s debut track. He followed this with a “Spanglish” version of Louisiana swamp blues maestro Slim Harpo’s classic “Got Love If You Want It” and an Afro-Cubanized take on the Lightnin’ Hopkins version of “Baby Please Don’t Go,” thereby fully merging Gibbons’ innate Houston blues tradition with Latin rhythms. Chino Pons, a Cuban friend who heads his own New York-based quartet stepped in to help collaborate on several other tracks for Perfectamundo. For the Perfectamundo Tour, Billy’s band, The BFG’s, will consist of the aforementioned Martine “G.G.” GuiGui, Austin B3 stalwart Mike Flanigin and Alx “Guitarzza” Garza, who appears on the album’s title track, as well as “What’s Happenin’, Baby” and “Quiero Mas Dinero.” With Garza on percussion (whom Billy calls "our resident hip-hop poet and percussionist with vocals and beats”), SoZo and Melanie DiLorenzo, two very accomplished drummers, both female, also providing rhythmic Latin spice, complete the rhythm section. Gibbons recently told Rolling Stone, "The BFG's is, quite simply, a stab at something we didn't previously know to be possible. That 'something' was composing and creating sessions to press the limits of the unknown. ZZ Top, by definition, remains a minimalist endeavor with a very straightforward established approach which continues to serve us well… The BFG's, on the other hand, have now gone on to exploring some uncharted sonic and, especially, rhythmic territory within an accommodating context. Deep at the core of everything we do, either as ZZ Top or with the Perfectamundo aggregation, is the blues. That's the diamond and we found a way to put it into a new, Afro-Cuban setting. It really does come from the same place. The prospect of taking it to Cuba in December is especially exciting should all things work out. Talk about wish fulfillment." To Be Released On CD For The First Time! 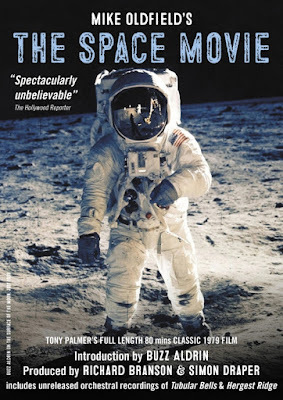 This classic film was originally commissioned by London Weekend Television and Virgin Films in 1979 to mark the 10th Anniversary of the first landing on the moon, July 21st 1969. A recent discovery of a print in mint condition has enabled us to issue the film in a sparkling new (and complete!) edition. Producer Tony Palmer explains, “The invitation to make the film came out of the clear blue sky from NASA in January 1978. I was invited to Washington and shown the mountain of film NASA had collected from the very beginnings with John Glenn, the first astronaut to orbit the earth in February 1962, until Apollo 17 December 1972. Use whatever I wanted, I was told, plus all the talk-back between ground control in Houston and the various space missions. NASA's extraordinary and spectacular images made me realize I had access to a treasure house beyond imagination. An exclusive screening of the 80-minute restored version of “The Space Movie” will be held at Cinema 2 at The Barbican in London on Sunday 15th November at 6 pm. New York, NY - On November 13, Eagle Rock Entertainment will release Slowhand At 70 – Live At The Royal Albert Hall simultaneously on DVD + 2 CD, Blu-ray + 2 CD, and in a Deluxe Edition [MSRP $34.98 Blu-ray + 2 CD, $29.98 DVD + 2 CD, $69.98 Deluxe Set]. 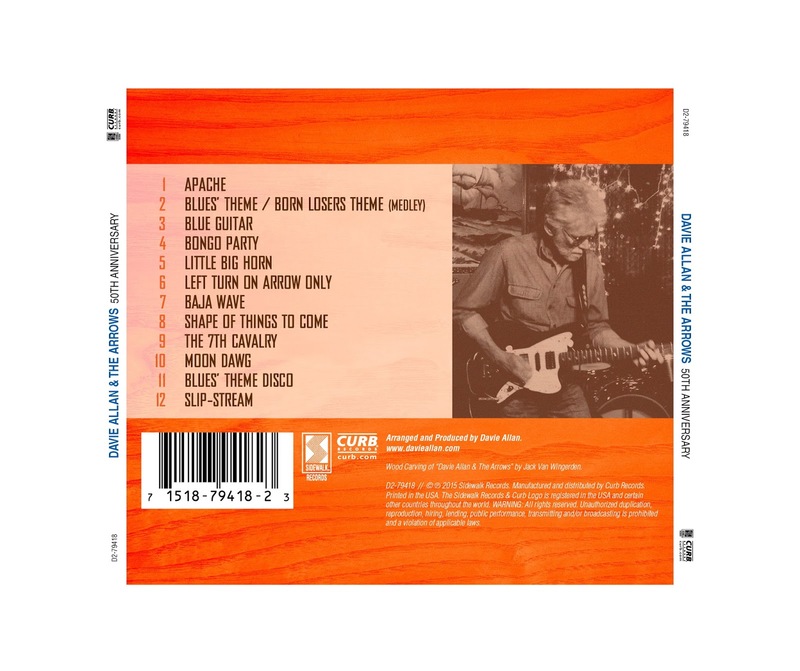 This landmark release captures a very special Eric Clapton performance celebrating his 70th birthday at his favorite venue and includes career defining tracks like “Cocaine,” “I Shot The Sheriff,” “Layla,” “Wonderful Tonight,” “Crossroads,” “Tears In Heaven,” “Hoochie Coochie Man,” and more! The fantastic Deluxe Edition contains the DVD and 2 CDs of the 2015 show plus a bonus DVD of Eric Clapton performances at the Royal Albert Hall across the years. The Cream Farewell Tour from 1968, the Journeyman tour from 1990, a UN Benefit Concert performance with Zucchero from 2004, the Cream Reunion shows from 2005 and a Prince’s Trust Benefit performance from 2010 are all included and packaged with a 12”x12” 60 page hardback photobook. 2015 was a year of landmark events for Eric Clapton. Following his 70th birthday in March, he performed his 200th concert at London’s famous Royal Albert Hall in May, fifty years after his first performance there with The Yardbirds. Clapton’s 7-night run at the venue was acclaimed by critics and adored by the fans. The setlist blended vintage blues tracks and Eric Clapton classics from across his astonishing career. Eric Clapton has become synonymous with the Royal Albert Hall and this concert is the perfect combination of artist and venue creating a truly magical night for Clapton fans everywhere. Memphis, TN - From the mid 60's into the 70's, there was no finer blue-eyed soul group than THE BOX TOPS, from Memphis, Tennessee! Gary is singing lots of the vocals ...Bill a few ... me a few. It's different ... not trying to be Chilton ...but its very strong ... I really like it. This past weekend, I had the great pleasure of meeting Scott Wilson. Scott is the son of the late Dennis Wilson of the Beach Boys. 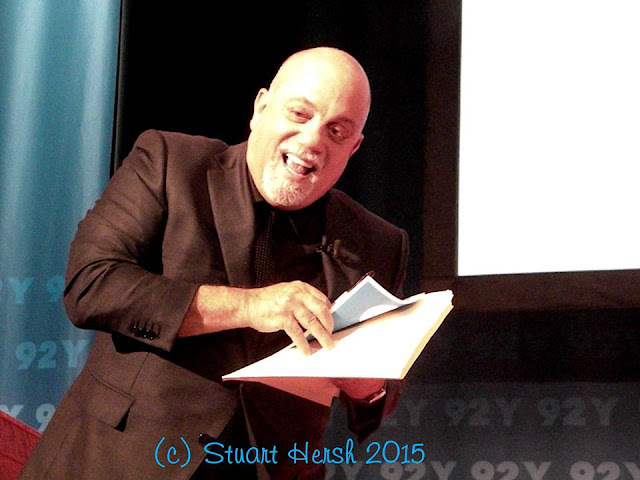 He has self-published a book called “Son of a Beach Boy” about his life growing up as Dennis’ son. I reviewed it on my website: http://beatles-freak.com/2015/09/20/book-review-son-of-a-beach-boy-by-scott-wilson/. And FH Reader Billy Hinsche sent us this link showing Dino, Desi and Billy sitting at #48 with "I'm A Fool"!!! Here's something different ... Michael Jackson on beer bottles. I volunteer to help empty the beer bottles. Great column as always! You're a TERRIFIC writer. Not sure how you find time to fit all this in with work, etc, but KEEP IT UP! Hope to have some more photos for you before long. THANKS FOR ALL THE WORK YOU DO TO KEEP OUR MUSIC ALIVE! I just love your blog. Been following it for years now and I swear I just don't know how you find the time to do all of this. The happiness and memories you stir up in your blog fans are amazing. Keep up the great work.